Afrin Sopariwala is a Women’s Health Specialist and Life Coach. She has been studying Ayurveda and Yoga for several years, has a Yoga Teachers Certificate and an Ayurvedic Wellness Practitioner Certification through Kerala Ayurveda Academy. Her own personal journey in healing from severe menstrual and digestive issues has lead her focus on the women’s health. 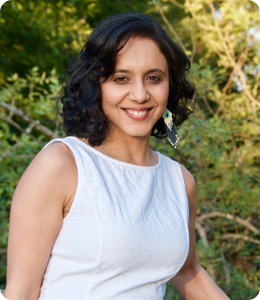 She has been an avid student of Ayurveda, Yoga and self improvement through various certifications, mentors, programs and self-study giving her a well-rounded background as a coach. Her way of coaching is practical, empowering, environmentally conscious, and result focused. She believes the simple daily practices of wellbeing can entirely transform your life. The trick is feeling motivated enough to build those habits. That’s where a coach comes in to guide you through that process. Afrin is currently available via online and phone coaching sessions.